Good afternoon, gamer folk. I'm bro2dragons, a new member on the site and also one of the guys who's going to be writing reviews you'll hopefully want to read. Around the 'nets, my friends call me bro2 for short (you may catch me on Smash Bros. Wii U For Glory with the same handle), but on the outside, I go by Cody. When I'm not gaming or working, I'm writing, watching Netflix with my wife, or getting ready for my baby daughter to finally arrive. In addition to my introduction thread, consider this my AMA ("Ask Me Anything," for you non-Redditors out there). So go ahead and hit me with whatever you got. If you're going to be reading (and maybe even trusting) my reviews, you ought to know at least a little about me, right? Welcome aboard! I look forward to reading your upcoming reviews! Congratulations on the news about your baby that's on her way. 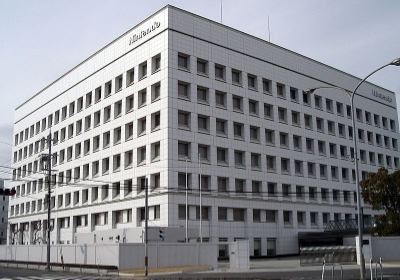 I'm happy to be here and definitely excited to pass on the strong Nintendo family tradition. What game are you reviewing first or is that going to be a surprise? I'm going to say that's a surprise, but that's largely because it's still a little up in the air. I'll have something go live this week, though, so you shouldn't have to wait too long. Welcome to the friendliest Nintendo site on the web! Welcome aboard, @bro2dragons! I'm looking forward to reading some of your reviews. Glad to see I'm not the only member who REALLY likes dragons! What's your favorite gaming memory? Rukiafan wrote: What's your favorite gaming memory? That's a tough question. Can I list a few? One would have to be beating three of my favorite games ever back to back: The Legend of Zelda: The Wind Waker, Fire Emblem: Path of Radiance and Beyond Good & Evil. The Gamecube was the first system I bought for myself, so I have a lot of fond memories from that time, but it mainly did two things. First, it defined my adolescence with stories and worlds I would visit again and again in my mind as I wandered the woods near our house. Second, it gave me those three games, which convinced me that I wanted to become a writer. They all told stories that captivated and moved me and at the conclusion of each, I felt a sense of satisfaction and accomplishment that's still stuck with me. My dream job ever since has been as a game script writer and, while I doubt I'll ever actually be able to do that job, without those games I may never have gotten any interest in journalism, which has been a career I've thoroughly loved so far. Another is less of a specific instance, but it's the hundreds of joyous hours I spent in college with my best friends playing Super Smash Bros. Brawl. I had a strong group of friends I lived with all four years of college and when we weren't in class, eating, or sleeping, we were probably smashing. We all came from different background and had different personalities and interests, but Smash was one thing that bound us together. There were so many times I would get a text that the guys had started to play and I'd get up and leave class to get in on the action. We played scores of 99-life games that would last for hours, but we'd play until our eyes burned, and then keep going. We lived in a small college dorm, probably not any more than 10 feet by 10 feet, not including the space taken up by furniture, but we still managed to pack 20+ people in once a semester for "Smash Night" tournaments. Today, we all live in different cities hours away, but those guys are still my brothers, and since most of us now have Wii Us, you can trust that we're all playing Smash 4, too, every chance we get. Lastly, an easy contender for favorite memory is also my earliest. I admit that I don't have a great memory and my recollection doesn't really extend past about six years old, but the first things I remember are the games I played with my dad. Together, we played through Super Mario World, Super Mario All-Stars, Yoshi's Island, the Donkey Kong Country trilogy, Earthworm Jim, and a few more, along with a whole lot of Street Fighter II: The World Warrior. I know it's the slowest, smallest and worst of all the Street Fighter II versions, but it was the one we owned and for that, it'll always have a special place in my heart. Being very young, I'd obviously lose to my dad almost every time we played. This was always immediately followed by his signature taunt in which he'd pin me to the floor, get on top of me and yell, "Who's the greatest that there is? Who's the best Nintendo wiz?" I would then have to reluctantly admit that he (and not I) was the best Nintendo wiz, or I would be mercilessly tickled. It's a silly memory, but it still means a lot, as my dad is not only one of the most respected people in my life, but a great friend of mine. And now that I'm old enough to be expecting children of my own, I look forward to breaking out that old cartridge and letting them know who the best is now. That's a great story! Mine is somewhat similar, however I started gaming at 3 years of age and it was actually my mother who got me into gaming! My favorite game genre is sadly lacking on Nintendo consoles since the N64... I'm a huge RPG fanatic and my favorite games of all time are Star Ocean: Till The End of Time, Star Ocean: The Second Story, Final Fantasy VII, Final Fantasy VI, Tales of The Abyss, Tales of Symphonia, Xenoblade Chronicles, and Chrono Trigger. Though Nintendo will always hold a special place in my heart. I prefer family oriented or teen rated games over mature titles which is why I have been exclusively a Nintendo gamer since the last generation of consoles. Megatron approves of your promotion @bro2dragons!